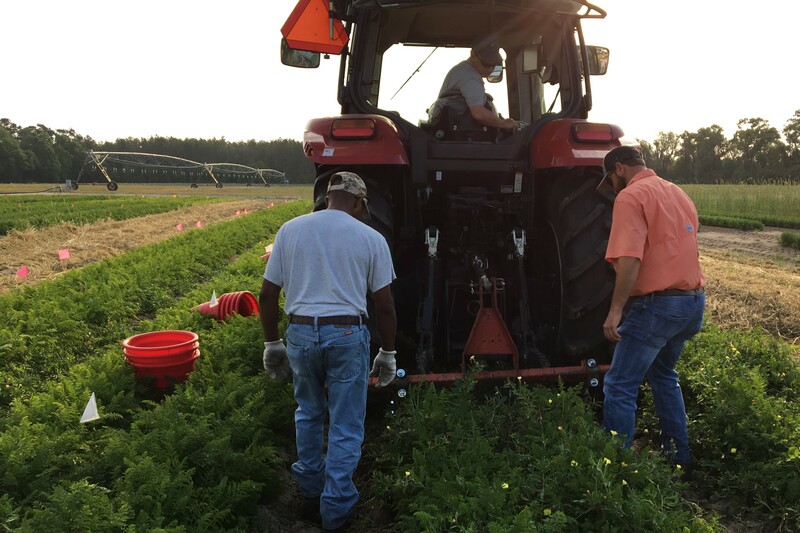 In Florida, the goal is to get carrots harvested before the weather warms up and Alternaria sets in. Most people are surprised to learn that Florida has a carrot industry. While carrots have been historically produced throughout the state, the amount of land dedicated to carrot production in Florida has been limited relative to other crops like citrus or tomatoes. California has led the nation in carrot production for decades, and that will likely continue. 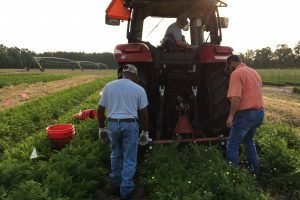 Recently, however, vegetable producers, processors and distributors have collaborated in forming an emerging carrot industry in northeast Florida. Farmers are growing both U.S. Department of Agriculture (USDA) certified organic carrots as well as conventional carrots. Several factors — including the population density on the East Coast, a rainfall deficit on the West Coast, and the availability of new processing infrastructure — have made this opportunity possible. 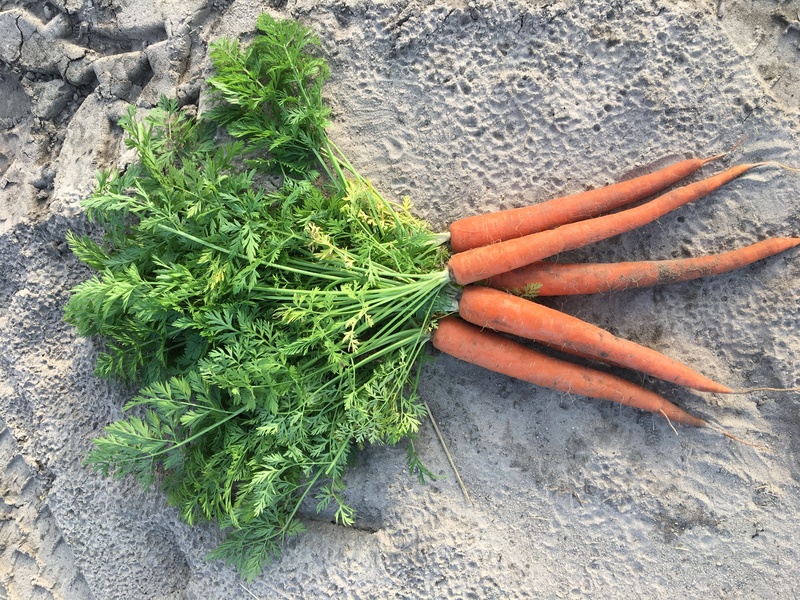 Florida carrot acreage is currently estimated at 5,000 acres, with a goal of expanding 10 to 20 percent of that total for certified organic. As with many new agricultural industries, support was requested from University of Florida/Institute of Food and Agricultural Sciences (UF/IFAS) for research-based recommendations on fertilizer, water and pest management strategies for both organic and conventional carrot systems. A team of UF/IFAS researchers and Extension specialists have joined forces to meet the complex technology and information needs of this emerging industry. The team consists of specialists who study weeds, plant diseases, insects and nematodes, water, fertilizer, irrigation and soil management. 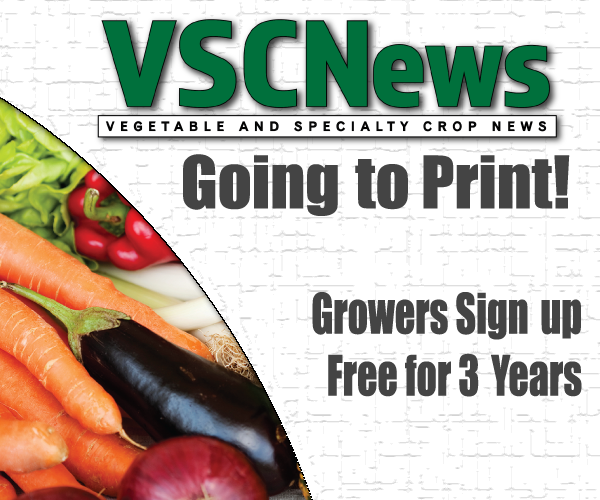 Five research trials, some multi-year, are ongoing at the University of Florida’s Suwannee Valley Agricultural Extension Center near Live Oak. In Florida, producers strive to meet and exceed water quality and quantity guidelines established by the Florida Department of Agriculture and Consumer Services (FDACS) and supported by UF/IFAS research. Florida’s best management practices (BMP) program provides recommendations for practices that conserve our natural resources, and programs are designed to meet the unique needs of major production systems. To date, there are no published BMPs for organic systems. All producers are expected to adhere to UF/IFAS fertility recommendations. In organic systems, crops are dependent on microbial processes (mineralization) to transform nitrogen that is bound to complex carbon compounds in organic fertilizers to plant-available nitrate (NO3). The rate and extent of nitrogen mineralization is related to the microbial species and density, soil environmental conditions and the type of soil amendment used. In an open system, available nitrogen is often hard to estimate. Two research trials were initiated in the fall of 2016 specifically to begin developing BMP recommendations for organic carrots in Florida. Trials included an evaluation of five rates of nitrogen ranging from 150 to 300 pounds per acre as well as an evaluation of five different application strategies of a single rate of nitrogen (250 pounds per acre). Treatments in each trial were randomized and replicated four times. Both trials were located on certified organic land at the UF/IFAS Suwannee Valley Agriculture Extension Center. For these studies, land was irrigated with an overhead center pivot, and irrigation rates were determined by soil-moisture sensor data. Data collection included soil analysis, soil solution NO3 collected from buried barrel lysimeters, nematode analysis, weed density, carrot yield and quality. Both experiments will be repeated next year. Funding for the trials is provided by the FDACS Office of Agricultural Water Policy, industry partners and UF/IFAS. 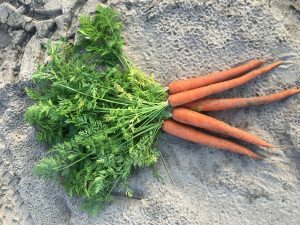 Nationally, challenges in organic carrot production include weed management, Alternaria leaf blight and a limited selection of carrot varieties. Researchers and farmers throughout the United States are working collaboratively to find affordable and effective management solutions for these challenges. Approximately 5,000 acres of carrots are grown in Florida. Carrot is a popular choice among U.S. consumers, consistently ranking as one of the top 10 vegetables. Organic carrots, in particular, are a top-performer for the industry. Carrots are kid-friendly vegetables with a wide range of uses in the kitchen. They are stir-fried, added to soups and stews, eaten raw in salads or as snacks and baked into cakes. The number of value-added carrot products on the market, including “baby” cut and peeled carrots, carrot juice, baby food and carrot sticks make it easy for consumers to include carrots in their diet. Carrots are high in vitamin A, and contain alpha and beta carotene, lutein and lycopene. These are also the compounds that give carrots their distinctive orange color. Vitamin A is important for a healthy immune system and good vision. Over 99 percent of all U.S. households buy organic produce at least occasionally, according to the Organic Trade Association. Fruit and vegetables consistently make up the largest category of all organic food sales — about 40 percent of the organic food market. And don’t assume that organic produce always costs more. In a 2015 Consumer Reports study of 63,000 U.S. supermarkets, conventional and certified organic lettuce and carrots were priced similarly. to undergo a rigorous annual oversight and certification process to enforce resource protection and pest-prevention requirements. In the spirit of the law, organic farming is a production system that sustains soil health and conserves natural resources. Danielle Treadwell (ddtreadw@ufl.edu) is an associate professor and state Extension specialist for organic farming in the Department of Horticultural Sciences at the University of Florida/Institute of Food and Agricultural Sciences in Gainesville.